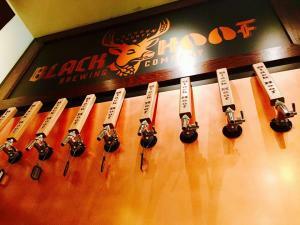 Black Hoof Brewing Company cut their ribbon this past weekend at their brewery and taproom in historic Downtown Leesburg. The journey started long ago when owners Bill & Nicki realized their passion for great beer and began home-brewing. In 2014, they won first place at the National Homebrew Competition and started working towards their goal of opening a brewery Black Hoof Brewing puts emphasis on English and German style brews like their Oatmeal Stout, Nut Brown Ale, Marzen and Helles. Head to Downtown Leesburg and try them all out for yourself! #FindYourSolace at Loudoun&apos;s newest brewery! 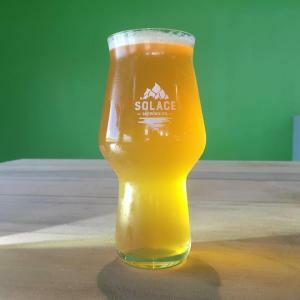 Solace Brewing Company opened last Saturday to the beer lovers of Loudoun and beyond. Upon opening, Solace officially became the largest brewery in Loudoun by square footage! Jon, Drew and Mike have backgrounds in wine-making and home-brewing and wanted to take their passion to the next level by opening a brewery on the LoCo Ale Trail. Visit their great new tasting room and try some new beers like their 2 Legit 2 Wit, Beach Bod Watermelon, Suns Out Hops Out IPA and more!